Mohd Mahmood Ali also took oath along with Chief Minister K Chandrashekar Rao and he was allotted the Home portfolio on the same day, making it a two-member Cabinet. Two months after Chief Minister K Chandrashekar Rao assumed office, Telangana is yet to have a full-fledged cabinet, with the opposition lashing out at the government over the "delay". 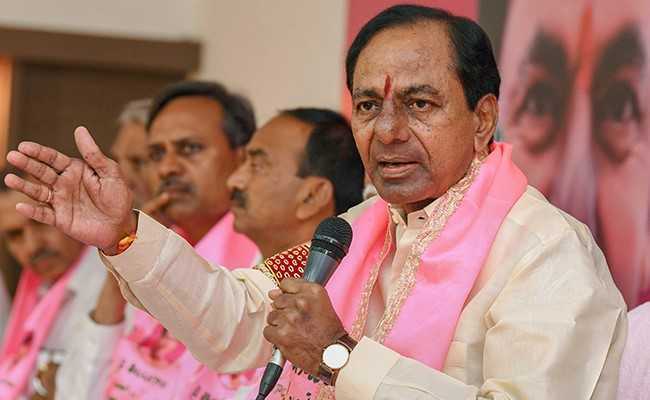 The ruling Telangana Rashtra Samiti (TRS) said a government appointed committee tasked to look into ways to streamline the entire administration by bringing together connected departments under one minister has completed its exercise. "That exercise took a lot of time. Very shortly, the cabinet will be formed based on the exercise," TRS spokesperson Abid Rasool Khan said on Wednesday. Mr Rao was sworn in on December 13 last year after the TRS swept to power for the second consecutive term with a thumping majority. "It''s a constitutional violation," Congress spokesperson Sravan Dasoju said on the "delay" in constituting a full-fledged Cabinet. "There is zero governance, defunct bureaucracy and complete anarchy in the state. Thousands of files have piled up and the budget is yet to be presented," Mr Dasoju told PTI. "There is utter chaos and financial bankruptcy, salaries are not being paid on time, pensions are not being paid on time," he alleged. Telangana BJP president K Laxman also hit out at the TRS government. "This is Nizam-like rule," he said. "With no minister to take care of the administration, files are accumulating in hundreds," Mr Laxman alleged. CPI general secretary Suravaram Sudhakar Reddy said: "I am really surprised. Nobody is able to tell the reason. I think he (Rao) is in a fix on how to select the Cabinet colleagues; he is confused that there would be dissent from a large section of people (who miss out on Cabinet berths)." "As a matter of fact, had he done (Cabinet expansion) within a week, there would not have been any problem. Now, too many aspirants. I think it's very funny that even after 60 days, he is unable to form a Cabinet. This shows his carelessness and irresponsibility," Mr Reddy said.